Cucciku offers the ultimate Maternity Gift Certificate as an e-download or order by post*. Gift certificates make the perfect present for friends, family & colleagues. 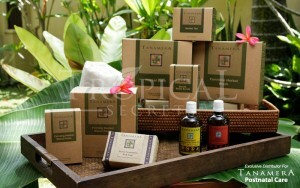 Heal, restore & rejuvenate a loved one with one of our in-home treatments for Mom & Baby. All gift certificates can be redeemed for any ‘In-Home Beauty Service‘ ‘In-Home Mother & Baby Massage Package‘ or ‘Product: Complete Postnatal Care Set x 10 Products‘. If you would like to share your gift ideas and suggestions please call us on 04-4429239 / 055-8370946 and we will be glad to make a customised gift for you. Gift certificates are non refundable and are valid for 6 months. If any service, package or products delivery is scheduled and missed without a 24-hour notice, the gift certificate will be voided. * Please note a small postage and packaging charge will apply for our boxed gift certificates delivery service.